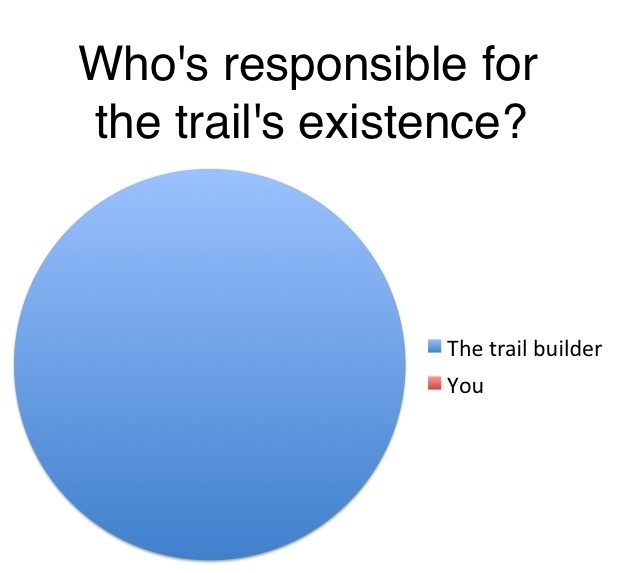 Opinion: Who Owns a Trail? This is THE BEST graph ever ! There should be a Noble Prize ready now for the Author. I would not ever even think of an idea to present the gist of the message like in a graph, and this.. is just a Masterpiece. GOOD JOB ! Well done and keep thinking like that. It is because of people like You, that the world is progressing towards perfection.